The social protection landscape is currently characterised by competing discourses and agendas, given that bilaterals, multilaterals and private funders have different targets and have differing constituents whose lives they seek to improve. Critical aspects such as gender inequalities and inequities, women and children’s agency and community coping mechanisms are often not adequately addressed. This publication introduces the Commonwealth Secretariat’s anticipatory and transformative social protection approach, which outlines the principles and strategies for advancing a gender-responsive, human rights-based approach to social protection. It presents analysis and discussion of a framework for social protection, models of good practice from across the Commonwealth, and innovative ways of providing social protection that are not based on men and women being in full-time paid work in the formal economy. This publication will assist policy-makers and development practitioners in making informed decisions about programme design and delivery so that beneficiaries’ access to and participation in social protection mechanisms are fully realised. 5.1.1 How did we make that transition from diagnosis to living? Dr Anit N Mukherjee is a health economist who works particularly on the economics of development, HIV and national policy. Dr Elizabeth Reid is a development specialist on HIV and a Visiting Fellow at the Australian National University. Dr Meena Shivdas is a gender and development expert at the Commonwealth Secretariat, focusing on women's rights, HIV, culture and the law. 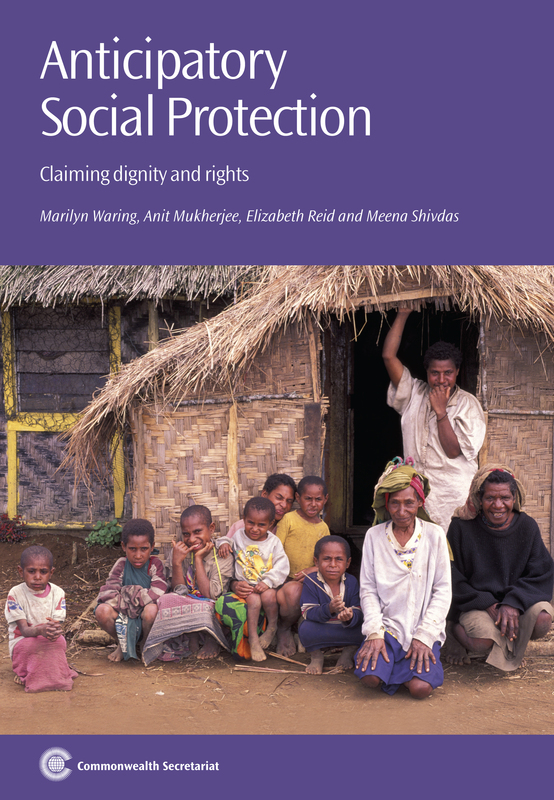 'Concerns and subjects among development practitioners and academics come and go, but social protection is a topic that has remained consistently present. Equally persistent has been the vagueness of its meaning, despite its concrete – policy relevant – nature.